This review is about a binary options scam called “VerifiedProfits”, it is presented by Daniel Walker and supposedly verified by Tradecertify.net. Walker claims that his company has a binary options trading system that can make you thousands of dollars per day. And he is willing to give it to you for free. Chance of a life time? Not really, just an ordinary scam. Walker claims that VerifiedProfits’ results are verified by an independent organization called Tradecertify. However Tradecertify is another scam, the web site has been created on purpose just to support the main scam. 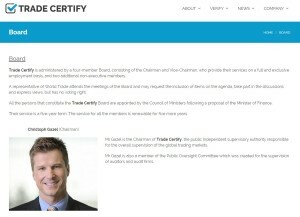 Tradecertify is not a real organization, there is no address, no real contact information. In fact, it has been copied from VeriTrades and the VerifiedTrader. As you can see in our original article, they used the same texts and photos. 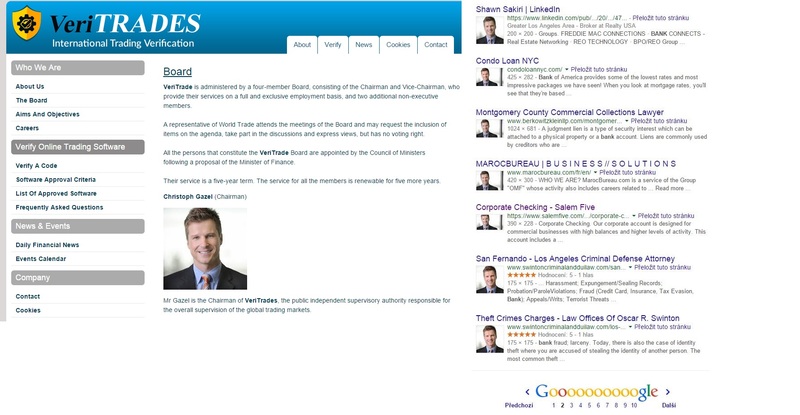 At that time they created it to support another scam, now the web site no longer works, but we have screenshots. They used all the materials from it to create Tradecertify that now supports VerifiedProfits. All the photos are from public sources, these people do not even exist. Because Tradecertify is a fake organization, all the presented results are fake too. The win percentage around 97 % is on binary options impossible in any case. So the testimonials are fake, including Twitter. There is no Twitter account named verifiedprofits0o2, so no surprise that their follow button does not work. All the tweets are fake. And all the awards too. 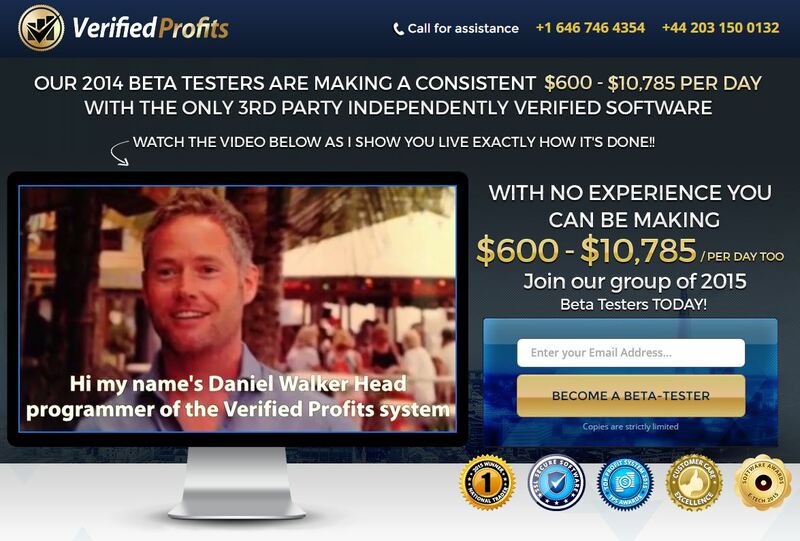 Verified Profits are using a common binary options scam concept. They faked videos and account statements. And to support it, they created a fake independent authority TradeCertify.net. You should know that you will lose money if you trade with them. Because it is not really free, you will have to deposit $250 and then let their system trade your money. So forget about these automated systems that promise to make you rich with no effort from your part. Binary options trading does not work this way. In order to make money, you have to learn trading and trade yourself. Fake results – “winning” AUDUSD results for early August 2015 show AUD around 93 cents. AUD hasn’t been in that trading range since mid-2014.